Doctor Epstein received his PhD in pharmacognasy from the Union Institute & University, Cincinnati, Ohio. . He is currently Director of Technology and Business Development Cosmetic Actives and BioActives at EMD Chemicals, Incorporated, an affiliate of Merck KGaA, Darmstadt, Germany. EMD Chemicals is located in Gibbstown, New Jersey. 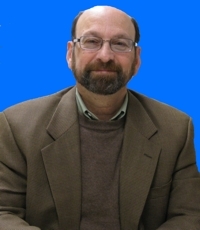 In addition to his membership in the International Academy of Cosmetic Dermatology (IACD), he is a member of the Society of Investigative Dermatology, the PanAmerican Society for Pigment Cell Research, and the Society of Cosmetic Chemists, for whose official publication, Journal of the Society of Cosmetic Chemists, he is Editor-in-Chief.